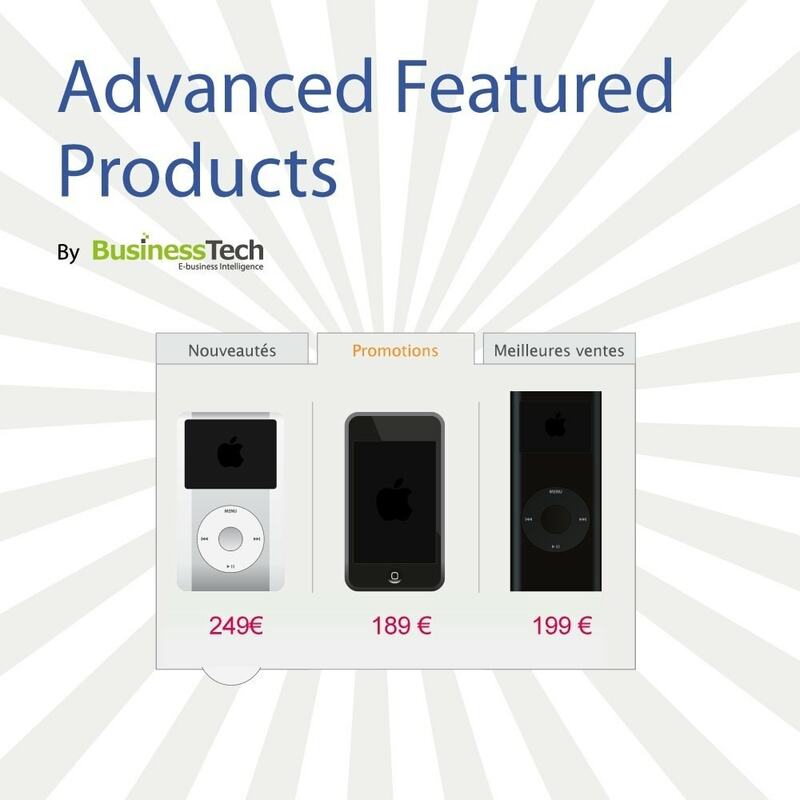 This powerful tool allows you to display many products on your homepage, while occupying minimal space / real estate on screen, while occupying minimal space / real estate on screen. 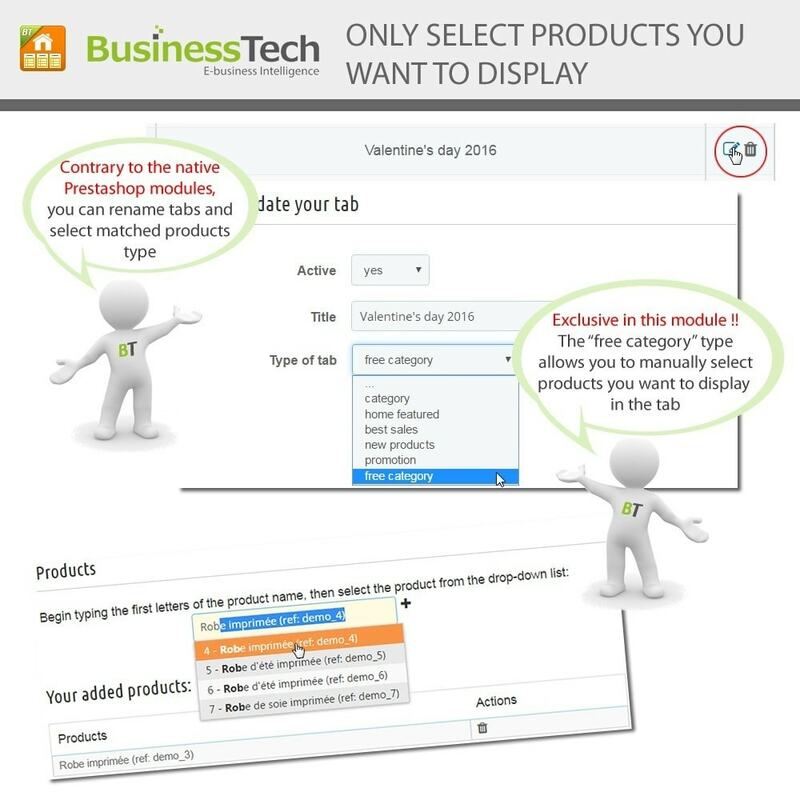 Each tab will reveal its own selection of products, without the need to reload the page. 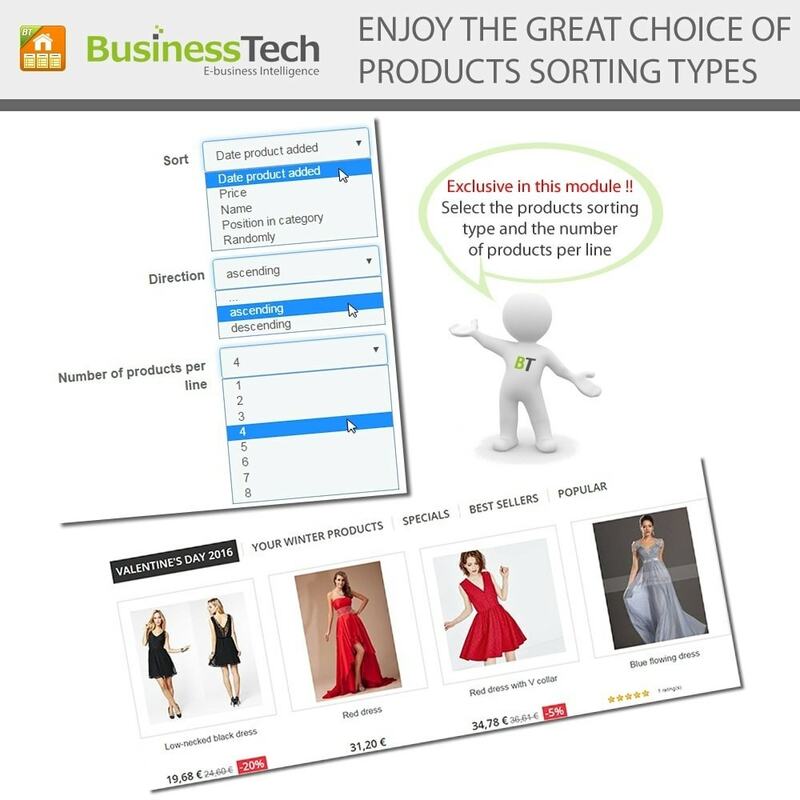 On PrestaShop 1.6, it integrates seamlessly with PrestaShop's built-in product tabs on the homepage, but offers you much more power, flexibility and control over the product slections, the tabs sort order and overall design and layout. 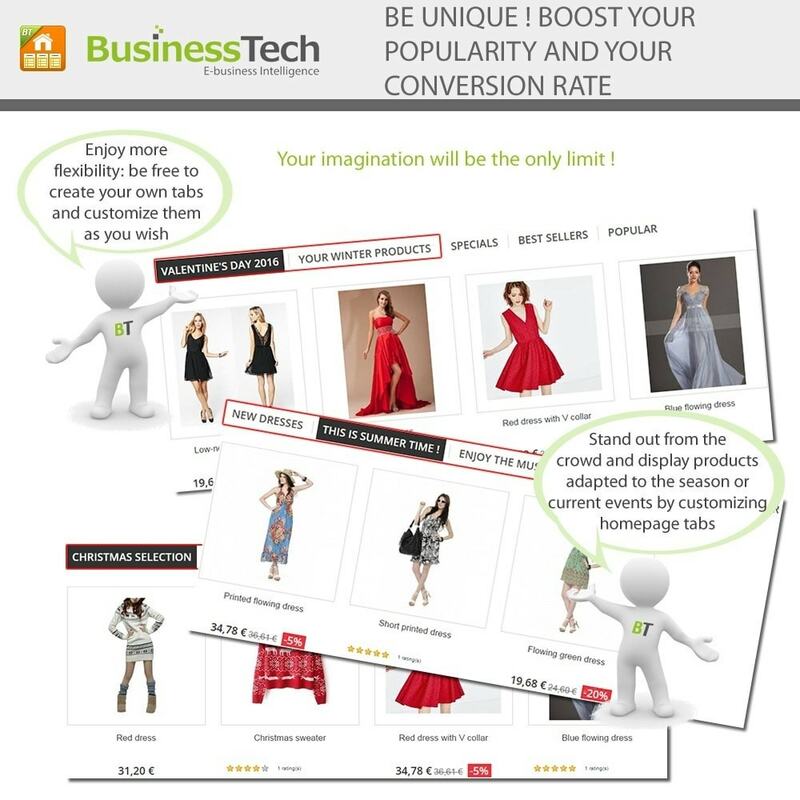 You can display your new products, promotions and product selections on a single page, and give your visitors a larger view of your shop, thereby maximizing your chances to convert them into customers. This therefore increases your conversion rate and sales volume. More product based content means more keywords and, with its well structured HTML, this can help your Google rankings. 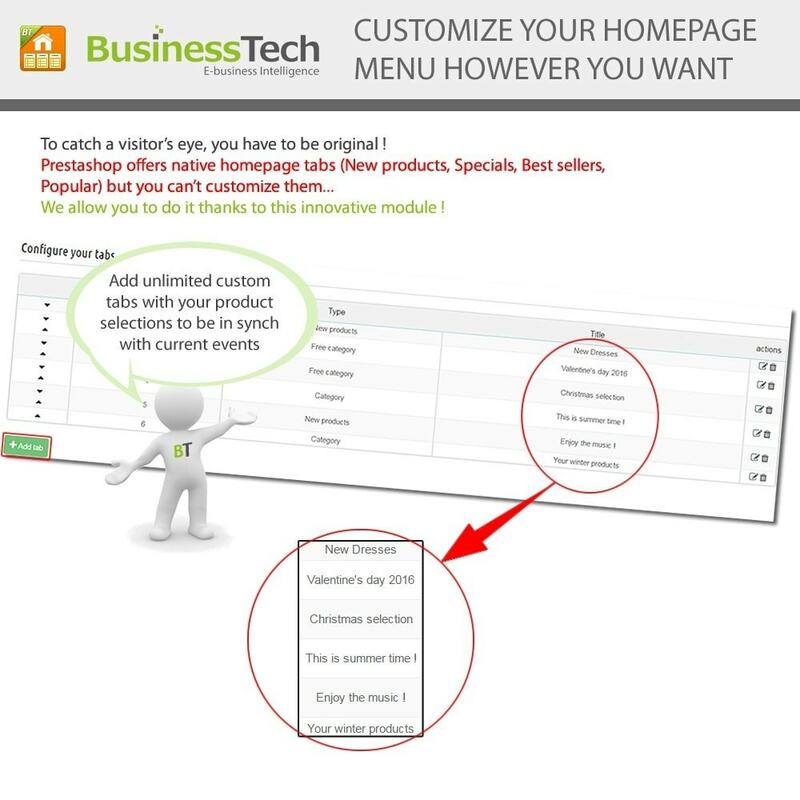 Finally, your homepage will be lively and well animated. 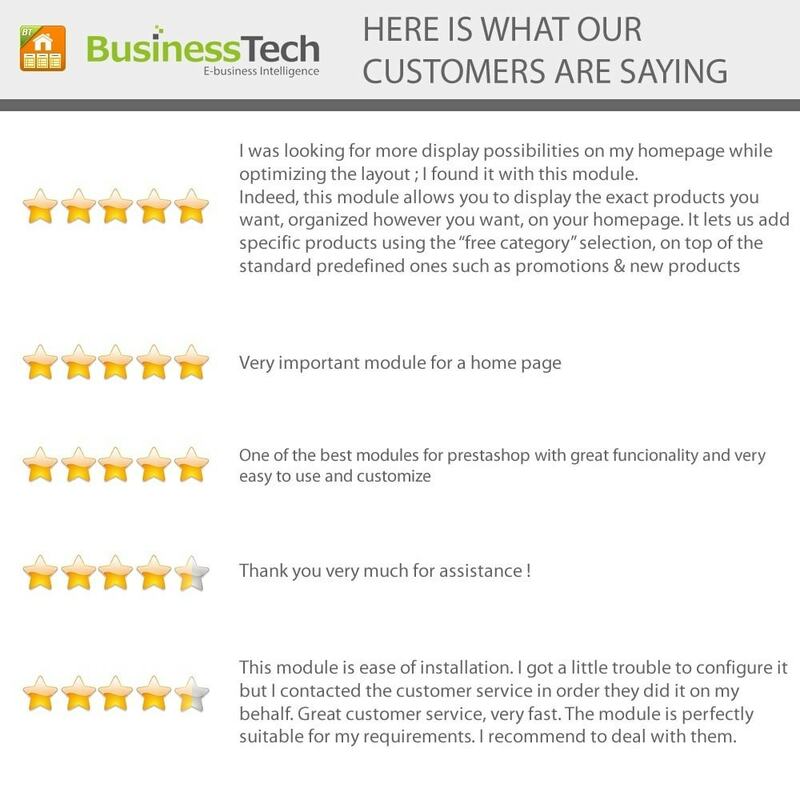 With this module, coupled with a slideshow module, you will have all the tools you need to create an attractive, professional and up-to-date homepage for your PrestaShop website, impressing and boosting your customers’ confidence in your shop. Display your best products to your customers directly on your homepage, and allow your shop to always look different when visitors get to your homepage. Freestyle tabs: create custom tabs with hand-picked products, via an easy to use and efficient keyword search interface on the module’s configuration screen. Visitors will be able to immediately access the shop’s most important and newsworthy items: new products, promotions, featured products, best sales or any other custom section of products, featured by the merchant. The visitor will therefore be one click away from all the shop’s current important products, directly on the homepage. In the end, this is time saved and a better perception of the shop’s offer in one quick glance. Great module, great support very efficient. Recommend ! This is a very usefull module to promote all kind of new categories or articles without any kind of URL's and SEO.